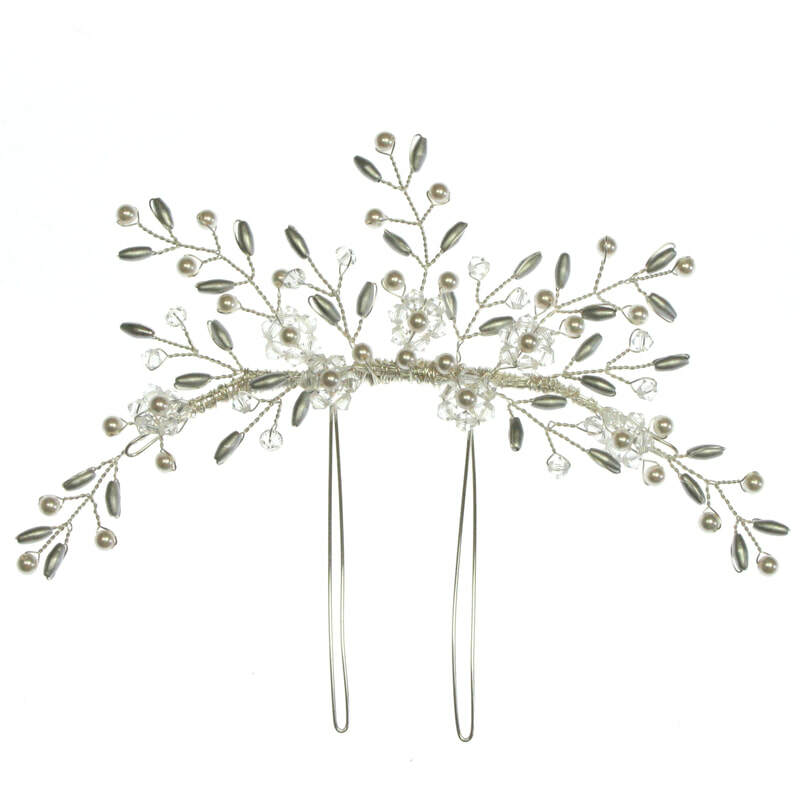 Delicate hand wired veil comb with beaded branches, pearls & crystal flowers. 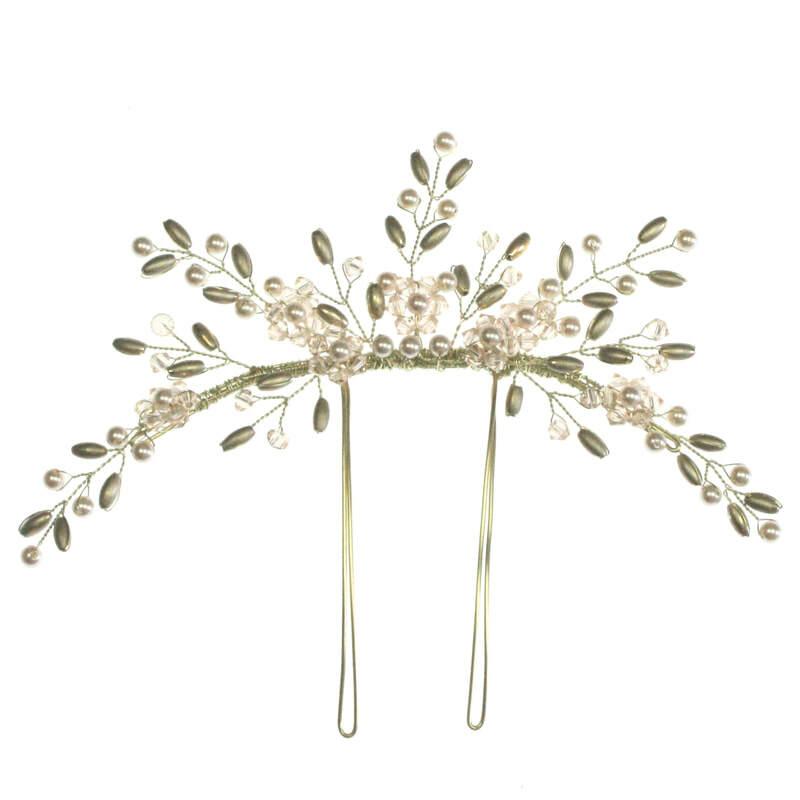 This light weight comb is perfect for woodland and outdoor ceremonies and easily sits at the top of a veil for a pretty bridal look. 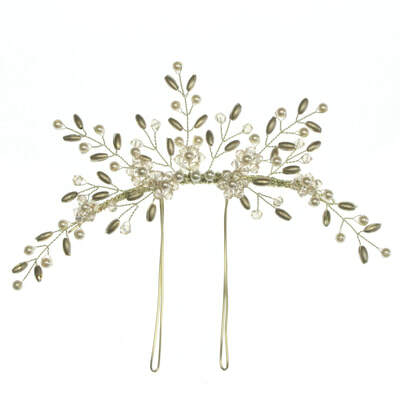 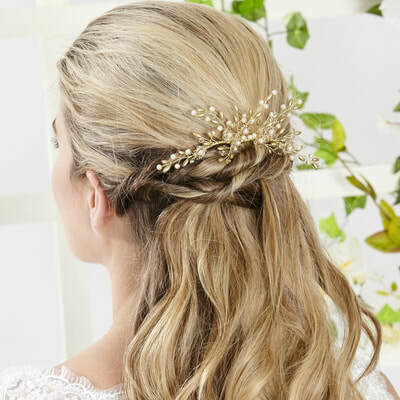 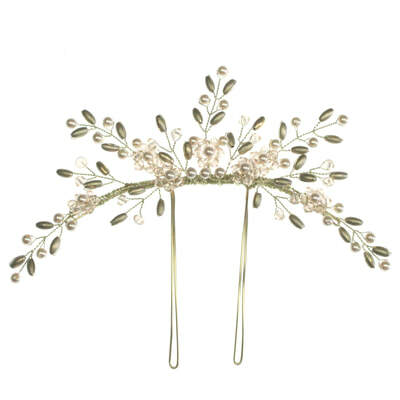 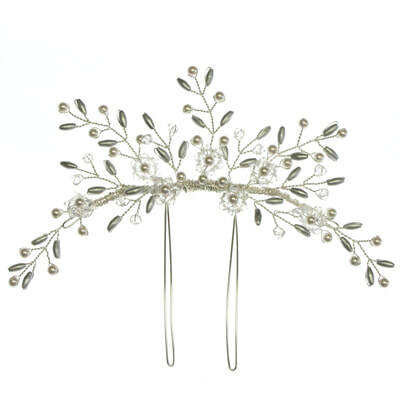 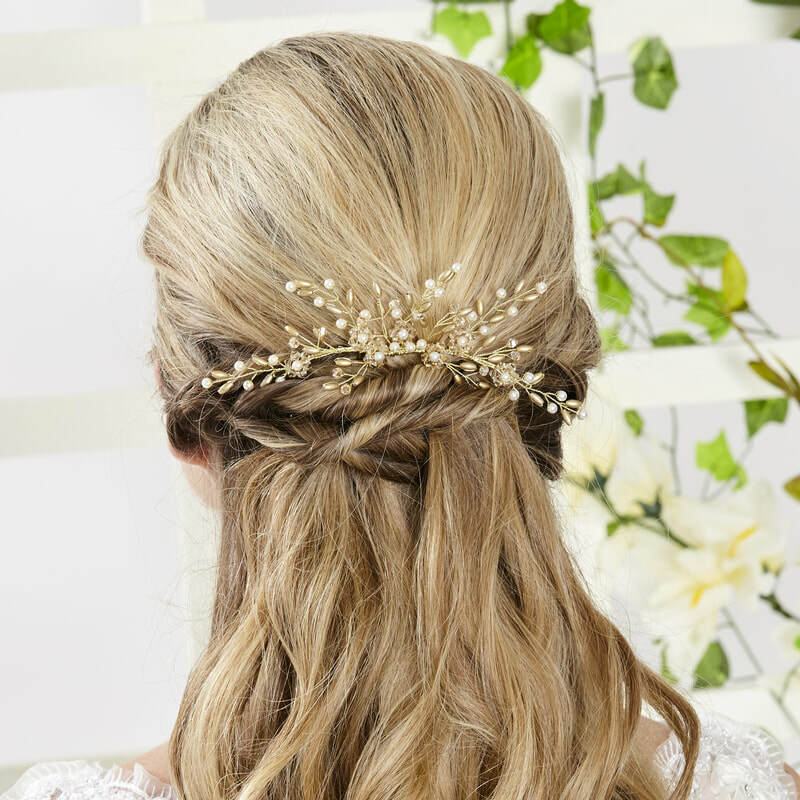 Wear with our Nymph hair vine (AR545) to create a stunning complete circlet. 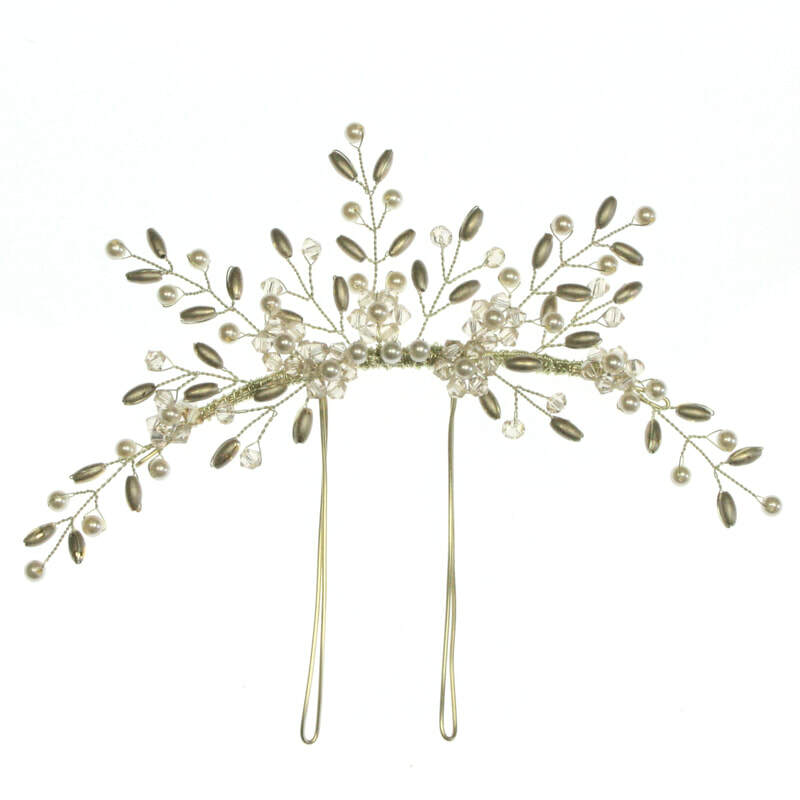 Secures into the hair with 2 long wire prongs.